nju mobile is one of the Polish mobile operators, offering unlimited plans combining voice, data and SMS/MMS (the last I am hardly using). 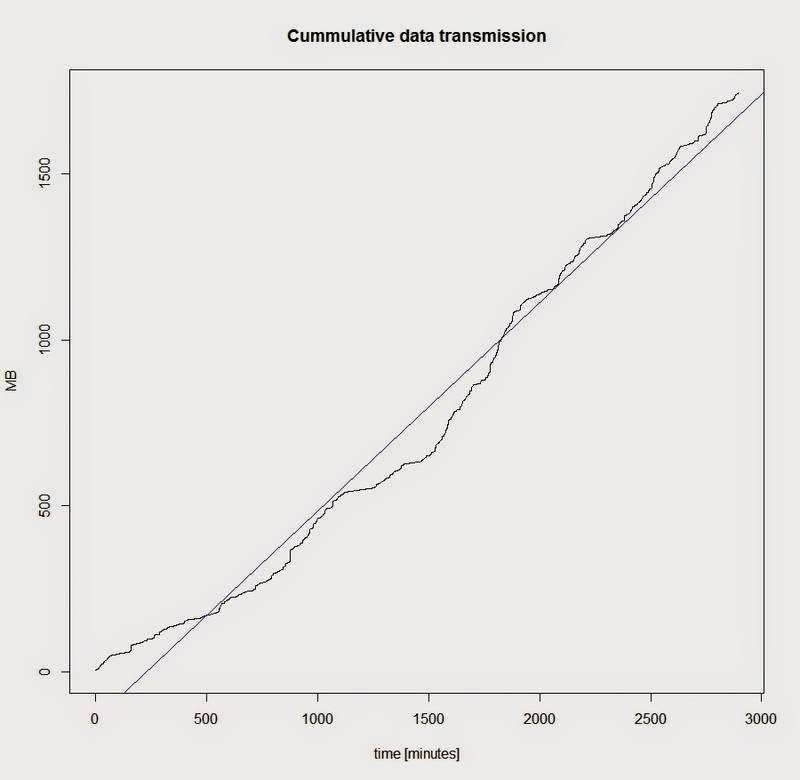 I downloaded connection data for the last six months (178 days to be precise) and wrote a simple R script to analyze it. Over the last six months, I was using approximately 300MB data per month (1.7GB in total) and made 204 phone calls totalling roughly 2,000 minutes, or some 330 minutes per month (the average call time was 11 minutes). 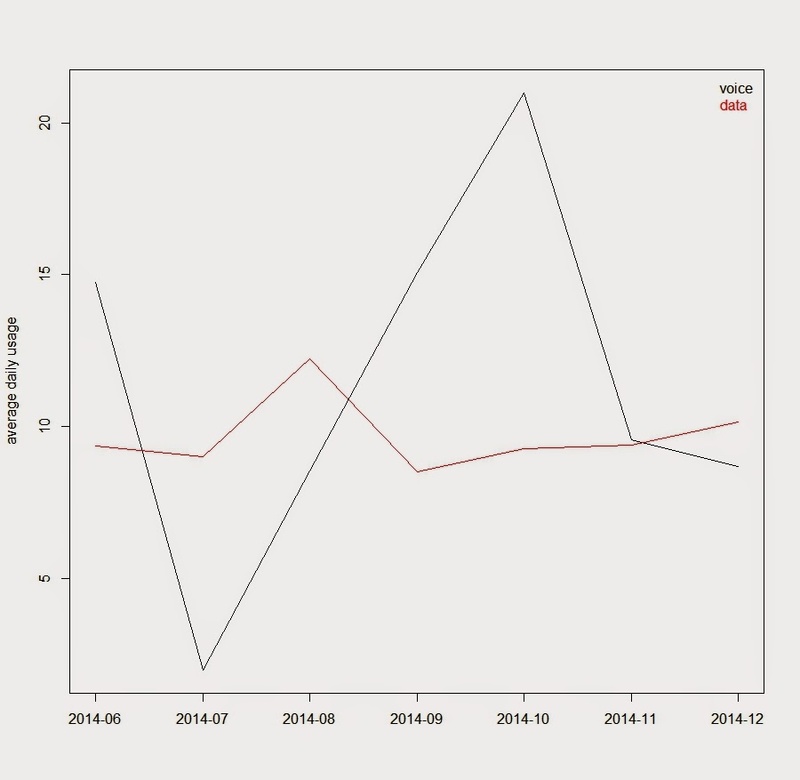 I did not notice any clear trend in my monthly usage. 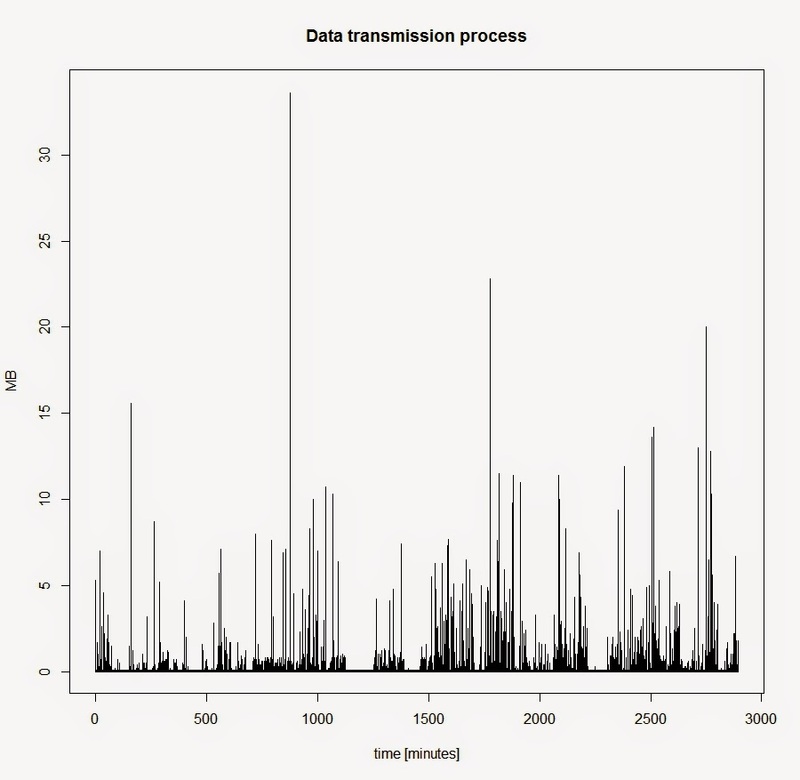 I was especially interested in my data transmission, but it seems that even if the intensity can vary significantly between moments, the tendency is quite stable. 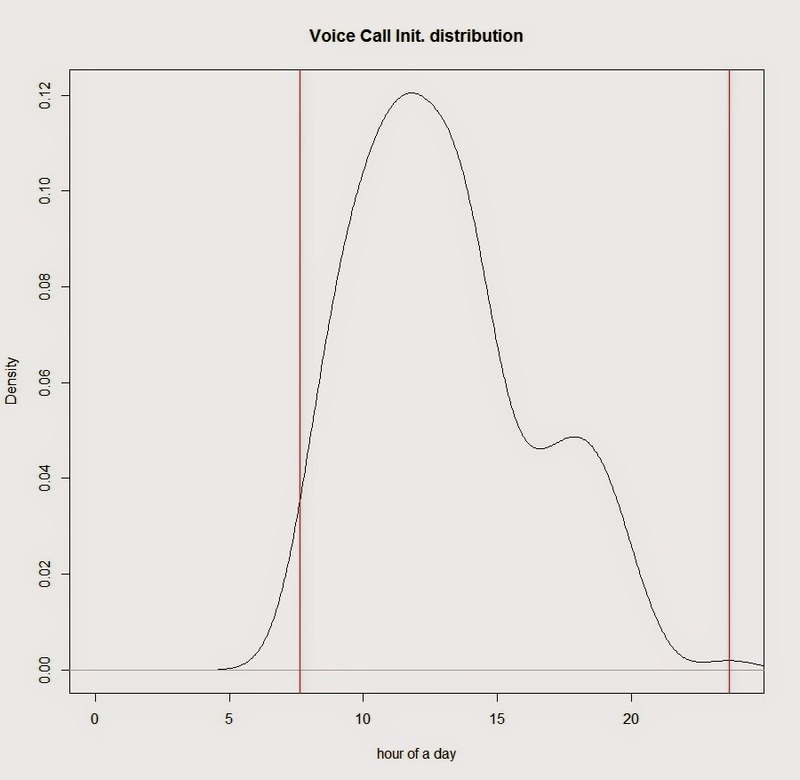 I'm usually calling between 7 am and 11 pm, with the highest intensity around the noon. However, the length of a call can very significantly. 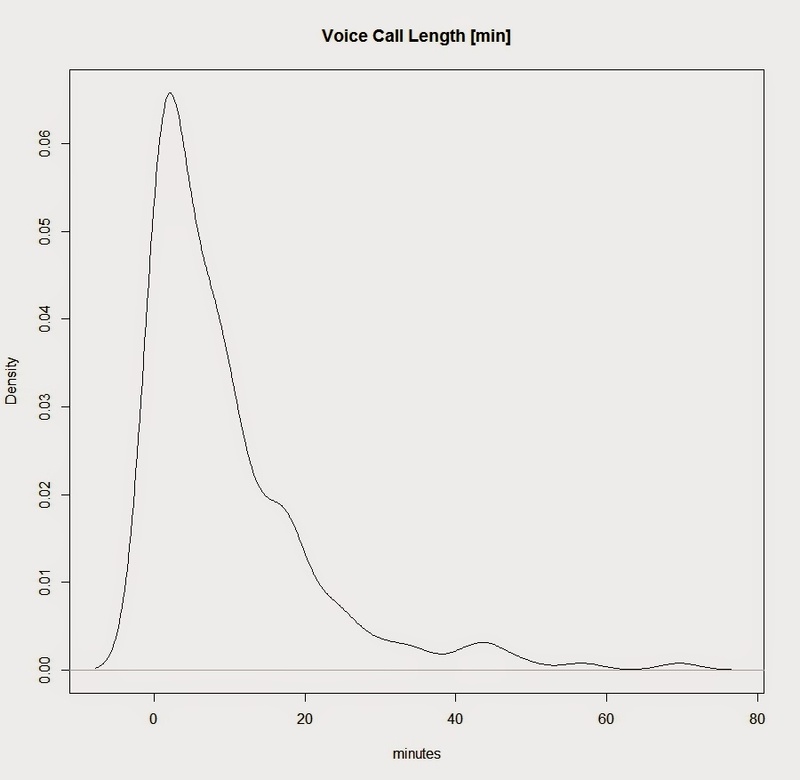 The majority of my calls are below the average (~10 minutes), but there is a long tail, too. 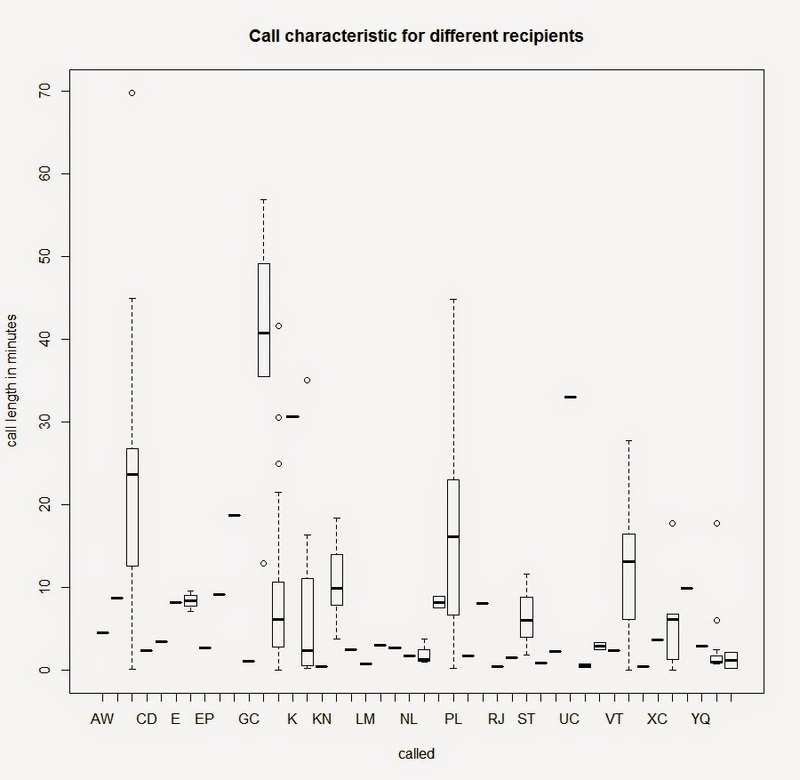 Call recipients had different characteristics (average expected call length and call length variability). In connection with the information whether I had called a recipient before, it should be possible to predict the call length. 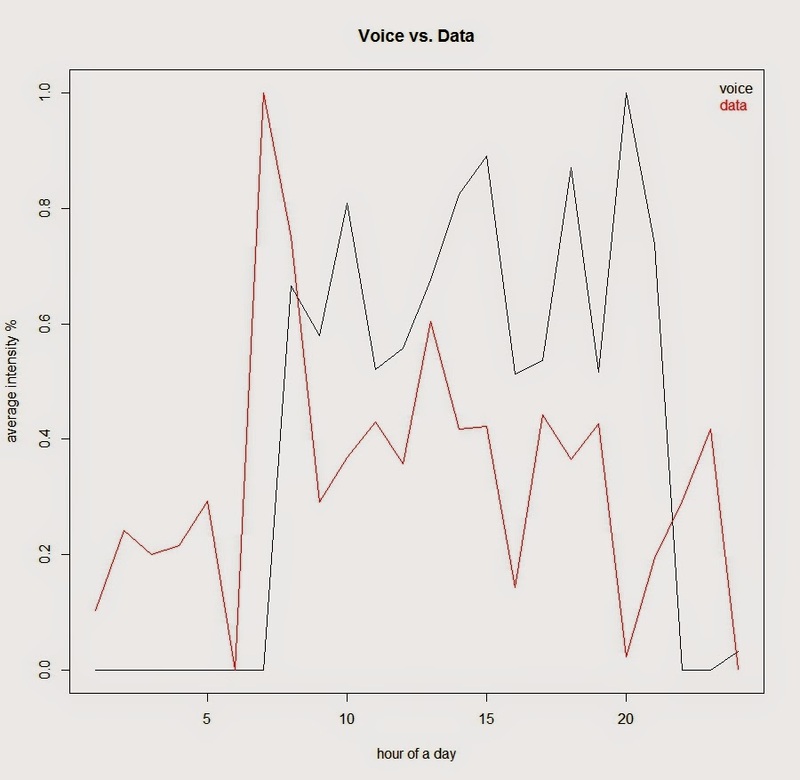 that may be used in the call length predictive model.